Cloud backup is a service in which the data and applications on a businesses servers are backed up and stored on a remote cloud-based server over the internet. Besides data backup, cloud backup is combined with disaster recovery solutions and may also provide an exact instance of a server, desktop or entire system depending on your businesses requirements. We all know the important concept of having local or onsite backup. However, there is a critical vulnerability in relying solely on an onsite backup. It runs under the presumption that the local network or area is safe from harm. What happens to your data in the event of ransomware virus encrypting the whole network or a local disaster, be it man-made ( sabotage) or natural (flooding, fire, etc)? This is where off-site backup becomes an important consideration, the goal of which is placing some or all of your backup data elsewhere out of harm’s way. With traditional office backup solutions, users swap tape drives or external USB drives to keep date offsite on a schedule. However, replying on a staff member to do backup is risky and a pain to remember. Sometime they forgot to swap the media or the offsite media has failed without anyone begin aware. 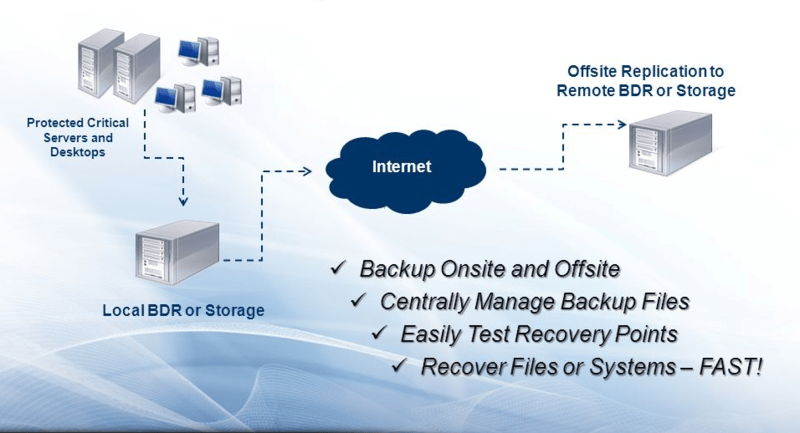 Automating your offsite backup it is exactly where cloud backup is making a difference. 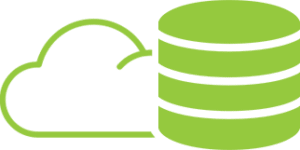 Cloud backup options are available for clients who want a fully automated offsite backup solution providing 100% peace of mind that your critical data is up-to date without changing and taking backup drives offsite every day. Our backup solution is based on a combination of market leading software Shadow Protect and Veeam software, robust cloud infrastructure in secure 100% Australian data centres, and managed private network links. This combination of technology allows us to deliver a flexible tailored backup solution to meet your business needs and offers a variety of recovery options when you need them most. Not all servers and data needs to be backed up to the cloud. We analyse your setup and data structure before setting up cloud backups. large amounts of data will cause backups to take longer and requires more backup storage. We will clean and archive your old data to help backups run more efficiently. If data cannot be restored, the backup will become useless. We will test recovery process every period of time. We will design, recommend and setup most suitable cloud backup solution according to your business needs. Backup speed and internet speed is the most important part of successful backup. We will test and make sure data upload can be finished in an efficient time frame. We proactively monitor your backup 24 x 7. We receive notification if a backup fails and will work to resolve it immediately. Need an offsite backup solution?